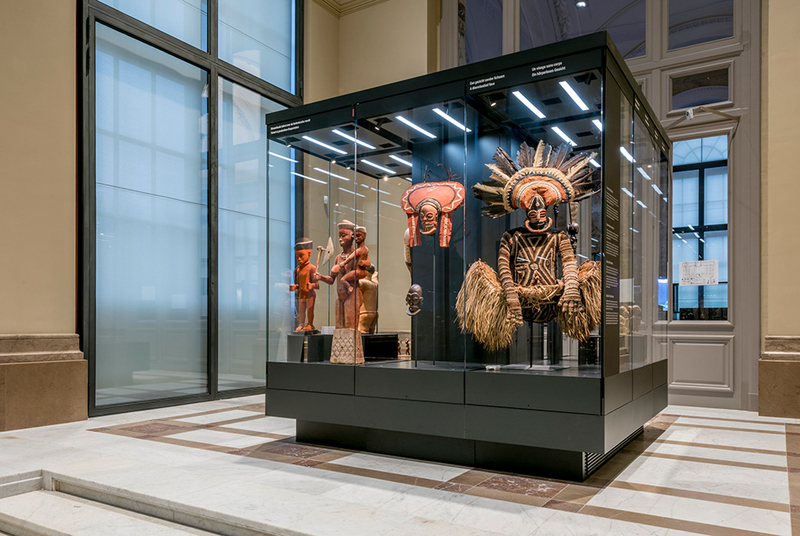 TERVUREN (AFP).- Belgium’s Africa Museum reopened on Saturday after a five-year restoration to repackage its looted treasures with a critical view of the country’s brutal colonial past. The reopening of the former Royal Museum for Central Africa in the Tervuren Palace outside Brussels comes amid a renewed European debate about returning stolen artefacts. Last month, French President Emmanuel Macron agreed to return 26 cultural artefacts to Benin “without delay”, a move likely to put pressure on other former colonial powers to return African artworks to their countries of origin. “Restitution should no longer be taboo,” De Croo said on Saturday adding, however, that any returns should be dependant on certain conservation conditions being met. Before it closed for refurbishment in 2013, visitors to the Belgian museum were greeted by a statue uncritically depicting white European missionaries “bringing civilisation to Congo”. Paula Polanco told AFP her group, Intal-Congo, wanted them to be recognised as “victims of a colonialist crime”. DR Congo’s President Joseph Kabila, however, has said he plans to formally request the return of art and records before his country’s own museum opens next year.